The Future Fashion Design Consultancy (FFDC) is a sustainability consultancy exploring transformational clothing concepts for the fashion industry. Through design, we turn the disruptions and perceived limitations of the sharing economy and circular economy principles to advantages. Custom content and scenarios for a toolkit adapted to your business. Innovation sessions from 2 hours up to 2 days. Training and development following our workshops. 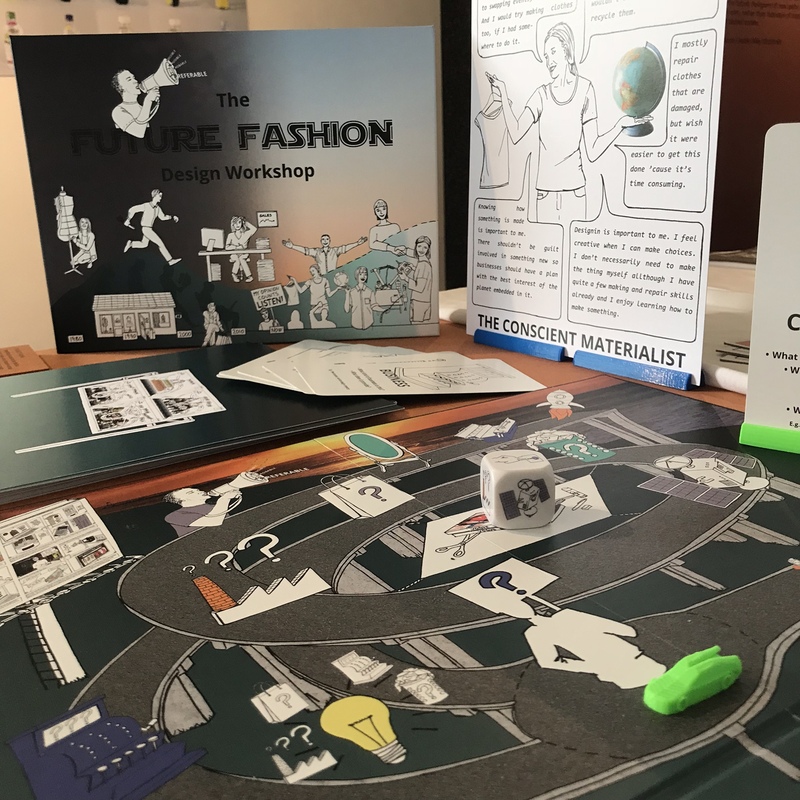 We have developed the Future Fashion Design Workshop, an innovation workshop for fashion professionals, using scenarios and futuring to unleash the potential within your business. and through that the future impact of your business. The workshop is an integral part of the FFDC, and can be tailored to your business needs. Contact us for more information about our services or browse our scheduled workshops in the calendar to the right. Interested in our workshops but can’t attend now? Sign up to be notified of upcoming dates.